When you think of an influential couple or a “Couple of Influence,” who comes to mind? Maybe it’s Chip and Joanna Gaines. Or perhaps it’s Prince William and Kate Middleton. Both of these very public couples influence – or affect – what others believe and perceive about marriage. 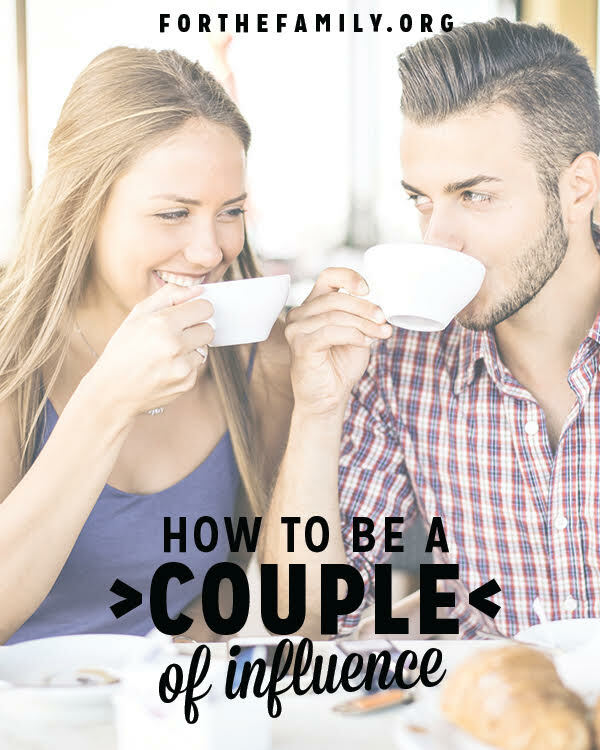 But did you know that you and your spouse are also a “Couple of Influence”? 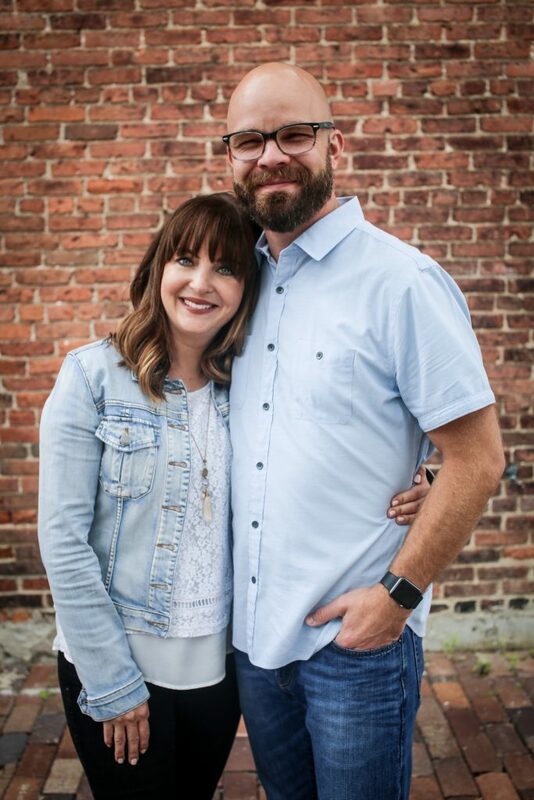 You may not be well-known like Chip and Joanna or William and Kate, but you are daily influencing – for better or for worse – how those around you think about marriage. We’ve all heard the popular saying that “actions speak louder than words.” Or, as French-German theologian and philosopher Albert Schweitzer once wrote, “Example is not the main thing in influencing others. It is the only thing.” Yet have we stopped to seriously consider what our interactions with our spouse actually communicate to others about marriage? When you and your spouse are at the store or a restaurant, what does the way you treat each other say about marriage? 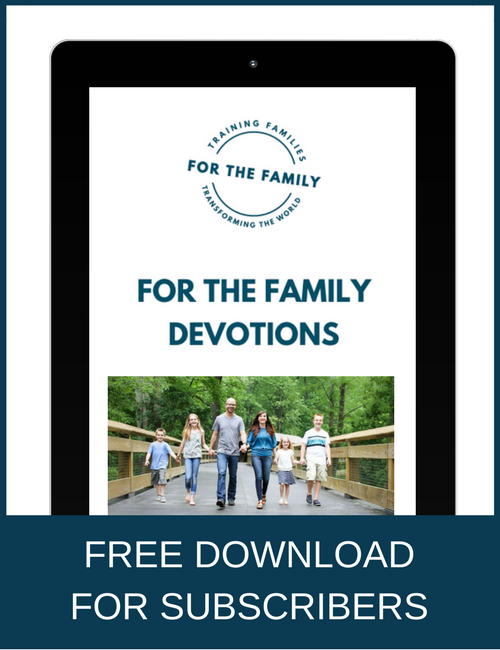 As you navigate hectic Sunday mornings at church or school pick up and drop off, how do your actions and words represent what it’s like to really be married? In those moments when others silently observe you (such as your kids, singles, or dating couples), are they inspired to view marriage as something desirable? Maybe, like me, you can pinpoint some instances when your example causes you to cringe. Those times when your actions were more likely to paint a negative picture than a positive one. I’d venture to guess we’ve all had these moments. The good news is, you and I can take solace in the fact that God’s mercies are new every morning (Lamentations 3:22-23). Each day offers us a fresh start and a new opportunity to do better in how we interact with our spouse. So what are some ways you and I can work to be a positive “Couple of Influence”? Here are three suggestions. Don’t put on an act or fake a perfect relationship. Others will see through you. Instead, be real and be yourselves. If “real” means you’re struggling in your marriage right now, consider how you can be authentic yet hopeful in your behavior. This sort of example can encourage others who also may be in a difficult season and communicate that marriage is worth fighting for. Want an example? I talk here about how Ted and I choose to brave our relationship in the rough times. Have you ever been around a couple that laughs together a lot? If so, you probably found yourself inspired by how much they enjoyed each other’s company. Laughter not only creates a joyful environment, but it unites spouses. And the more united you feel, the more positive your display of marriage will be. Others will take note. The next time you interact with your spouse, remember that others may be observing and taking cues from you on what to believe about marriage. It’s your opportunity to let your actions speak louder than words and communicate to them that marriage is indeed a good thing!